Awhile back I got a wonderful little care package full of the most wonderful socks from the makers of Zkano Organic Socks. They are a small, family owned company situated in Alabama that make their socks from 100% certified organic ring-spun cotton, grown without the use of pesticides, chemicals or toxins. All of their products are made here in the states. They are committed to providing a high quality, durable, comfortable, organic sock for consumers. How do they feel? Really great! I've been wearing my Zkano socks around for a couple of weeks now, and they are very soft and comfortable. They also wash very well and don't lose their size, shape, or elasticity. I would highly recommend these wonderful socks! Check out their nice selection of men's and women's socks today. They have a nice variety of crew, mini-crew and sports socks. They offer shades of natural or white. 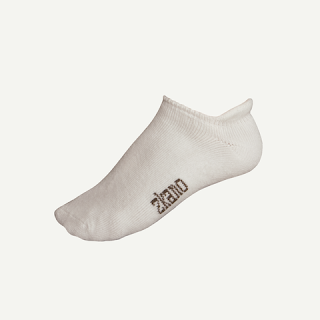 Gina at Zkano has kindly offered a 7 pair starter pack of Zkano Organic Socks to one of our lucky readers. Just leave me a comment in the comments section below and include your email address so we can contact you if you win. (If you don't want to leave your email address just make sure you check back later this week when I post the winner). as always, thanks for sharing with the hmn mamas! Warm socks..and they're organic! Sounds good to me! This might be the perfect solution for my husband's feet. Almost all socks / shoes made from non-natural materials give him issues. Cool product! Thanks for sending! these socks look so cozy for my big, pregnant feet... the blog is great! found you through the HMN national email loop. I am all about socks..I change them several times a day ( I find myself walking outside with no shoes) and these look great. I'd love to enter, please, if Canadians may. I got a pair of organic socks for hubby's Christmas stocking, and would love to compare to another brand! Please enter me in the drawing! This sounds perfect, for some reason one adult task I've never been able to get a handle on is knowing where my socks are. These socks sound amazing!! And I'm soo ready for a few new pairs. Thanks for sharing! I just love made in the USA - and organic, too! They look cozy and soft! or out in the street. cause they really have a horrendous taste. or pull out the threads. or rip them to shreds. to try new ones on. that he likes to darn. that can easily be seen. And sometimes supplies get low. but you still say no. Socks are things that come in pairs. you can even wear one on your... head! When do you consider doing laundry? Don't you know I love to play footsie baby? Don't you think it's time you gave socks to me? What do you call holes on your feet? Don't you think it's time you gave socks...to...me? I'd love to enter the drawing for the free socks, and thank you for reaching out to te HMN network!!! Wow, these socks sound great! I would love to try a pair! There's 14 feet walking around my house. I need socks that don't stink. Thank you for the offer. I would like to be entered in the drawing. Thanks so much...found you through HMN. I'd like to be entered to win the organic socks. I live in the area where they are made. I'm really proud she is doing something good with her family's mill when most are closing down because production is cheaper overseas.